The Orange County Lingual Institute is the premier Korean language school in Orange County, offering Costa Mesa Korean classes for all levels of Orange County Korean students. The Korean courses are taught at our new facility next to the South Coast Plaza and the Segerstrom Center for the Arts at a cost of $275 per eight-week term. Formerly the Orange County branch of the Beverly Hills Lingual Institute, we take pride in offering Orange County’s premier Korean instruction using highly educated native-speaking Korean teachers and university texts. 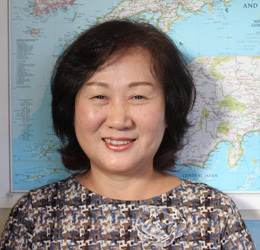 Korean language tutors are also available for private instruction and corporate programs. When you want to learn Korean in Orange County, the Orange County Lingual Institute at South Coast Plaza is your best choice. We offer as comprehensive a schedule of Orange County Korean classes as possible. The levels of classes scheduled reflect our current students’ needs and the anticipated requirements of new students. 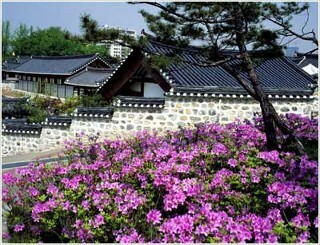 We may also offer a semi-private Korean class or private Korean lessons for any level of Korean. All regularly scheduled classes meet once a week for 80 minutes during an eight-week term. Below are the currently scheduled Korean language classes. If your level and preferred time is not shown, please call; we often add beginning classes after the schedule is published in order to accommodate demand. The Orange County Lingual Institute would like to invite you to learn Korean at our award-winning school where we are proud to offer Korean and over 15 other languages. This language of Korea as well as the local and worldwide Korean community is taught at our school convenient to residents of Orange County. Our supportive environment is a rich atmosphere for learning Korean from the teachers, the class materials, and from each other. Our attractive location, on-site parking and extensive schedule all combine to facilitate your Korean courses and are proven effective and extremely popular with residents of the Orange County area including the communities of Costa Mesa, Anaheim, Santa Ana, Irvine, Huntington Beach, Garden Grove, Orange, Fullerton, Mission Viejo, Westminster, Newport Beach, Buena Park, Lake Forest, Tustin, Yorba Linda, San Clemente, Laguna Niguel, La Habra, Fountain Valley, Placentia, Rancho Santa Margarita, Aliso Viejo, Cypress, Brea, Stanton, San Juan Capistrano, Dana Point, Laguna Hills, Seal Beach, Long Beach, and other nearby cities. Thank you for the opportunity to learn another language. I am thoroughly satisfied. Nice environment, highly prepared teachers. I am very happy with what I’ve experienced in here is class. Not to mention the helpful staff outside of the classroom. Thanks!! Learning format is better than night college or an annex class; class is more intimate and less than 15 students.